Cruise through the city that sits a mile high with good company, pedals beneath your feet and sharing good times with like minded people. Do you want to experience Denver’s best bike bar tour without the headaches of organizing your unorganized friends? Are you traveling to The Mile High City with your better half and looking for the perfect date? Maybe you just moved to Denver and you’re hoping to meet your new best friends? If you have a group of less than eight, our Public bike bar Tour is the best thing to do in Denver. Reserve your seats today and get ready to have a blast. Our private bike bar tours are made for a celebration. Round up a group of ten to sixteen of your favorite friends and family and set off on a denver booze cruise. You pick the stops. You pick the music. 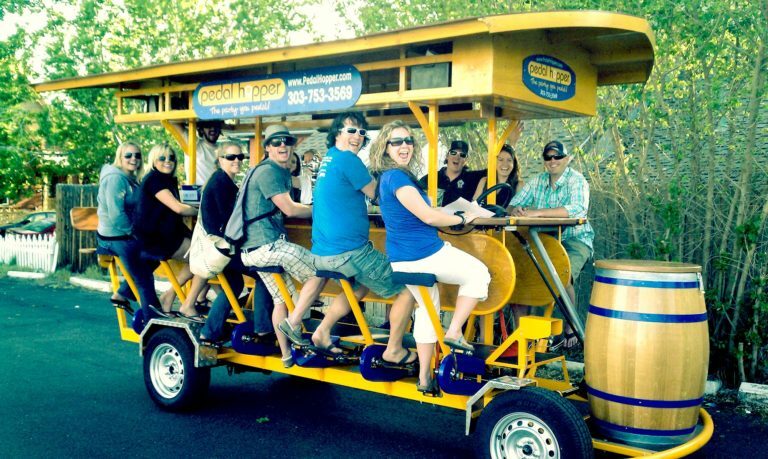 It’s basically a choose your own adventure for adults all aboard our pedal-powered bike bar. Our private bike bar tours are the perfect activity for any special event big or small. A bachelorette or bachelor party. A birthday. An anniversary or divorce, graduation or reunion. Even no occasion can sometimes be the best occasion. 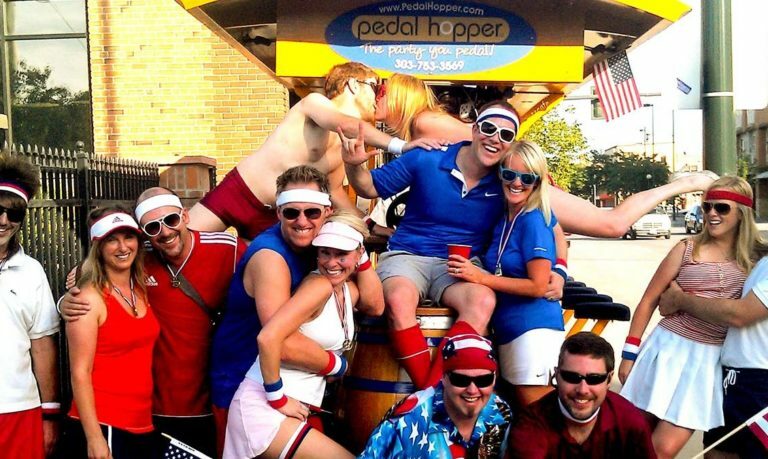 Pick a date, pick your crew, and prepare to party on one of our booze filled bike bar tours. You get enough of the unflattering fluorescent lights and uncomfortable shoes every day at the office. Why would you want more of the same at your local bowling alley for your team building activity? 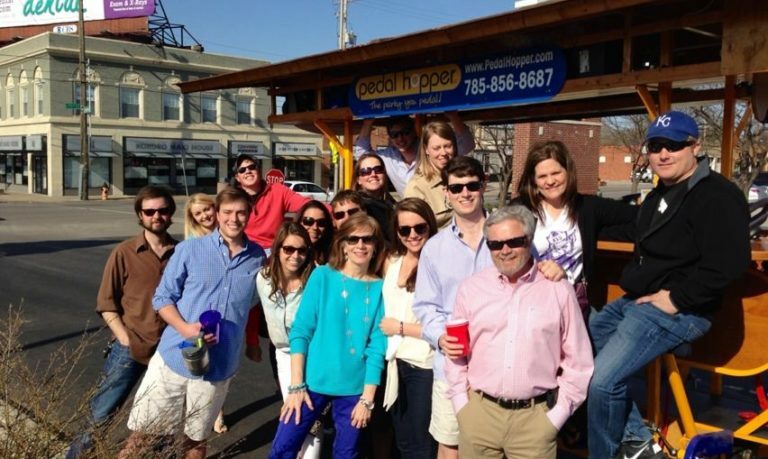 Be the workplace hero and book a corporate bike bar tour today. Our pedal-powered bike bars offer the perfect opportunity for your team to work together in the name of fun all while getting a little loose on a booze cruise through Denver. We can accommodate groups of 10 up to 100+. We can even customize your route to make it an experience you’ll talk about around the water cooler for years to come. Cruise through the city that sits a mile high with good company, craft beers, and pedals beneath your feet.